New York Cheesecake is rated 4.9 out of 5 by 17. Rated 5 out of 5 by Fast frank from Great Service Everything went great and they even checked that my friend received the cheesecake! Rated 5 out of 5 by Poteet from What a cheese cake Arrived right on time, my sister loved it! Definitely recommend gourmet gift baskets and NY cheese cake. Rated 4 out of 5 by MargeWest from New York Cheesecake While the flavor was wonderful, the texture is creamy. If you're looking for the dryer, aged New York Cheesecake, this isn't it. But it was very good quality and enjoyed. Rated 5 out of 5 by Ben2018 from Good cheesecake. Very good and as advertised and no graham cracker crust on this one! Rated 5 out of 5 by Begemotik from Small Size, Great Taste! Both of our wishes were granted. We wanted a small New York-style cheesecake with a big-city taste. This will be our cheesecake source from now on. Rated 5 out of 5 by Gina B from Great Gift I bought this as a gift for my mother whose favorite dessert is cheesecake. She raved about the quality and actually started rationing the last few slices to make it last longer. The next time I want to surprise her, I will send another one! Rated 5 out of 5 by Bell from Excellent and reliable! I always order cheesecake from here online to send my love to my boyfriend every ocassions and he loves all the cakes! Keep it up! Rated 5 out of 5 by Ribby from Yummy I must admit I am a cheesecake snob. There are very few that pass my personal test. I received a gift card to Gourmet Gift Baskets and decided to order cheesecake. Yummy. Easily passed my test. 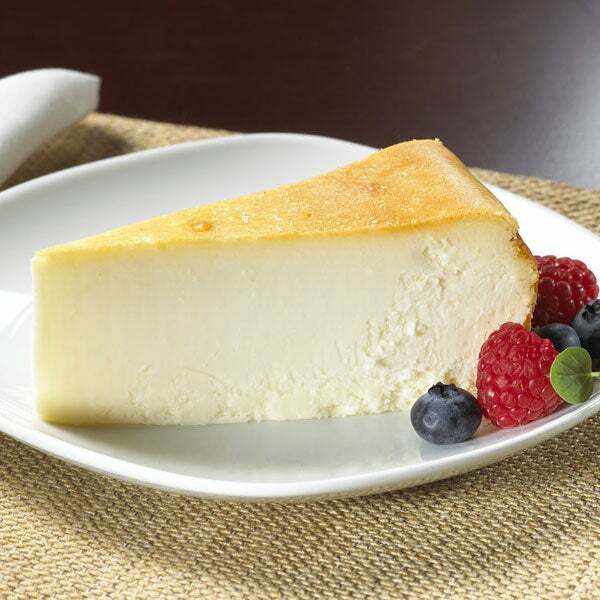 The classic decadent New York cheesecake, boasting rich flavors of cream cheese, sugar, and a touch of lemon. 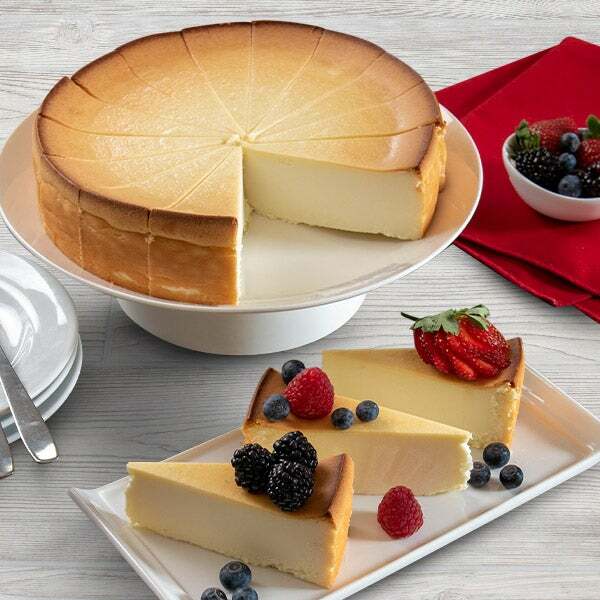 The original, irresistible cheesecake is perfect to devour on its own or with your favorite toppings. This is the utmost quality in gourmet cheesecake gifts you will ever be able to find.